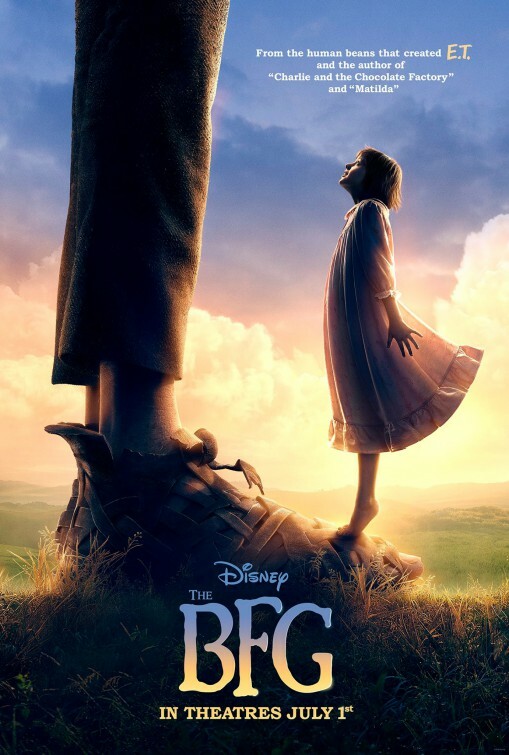 The combination of two storytelling icons coming together should result in an exciting and entertaining experience, but a whimsical fantasy movie such as “The BFG” will have a hard time finding an audience this summer unfortunately. 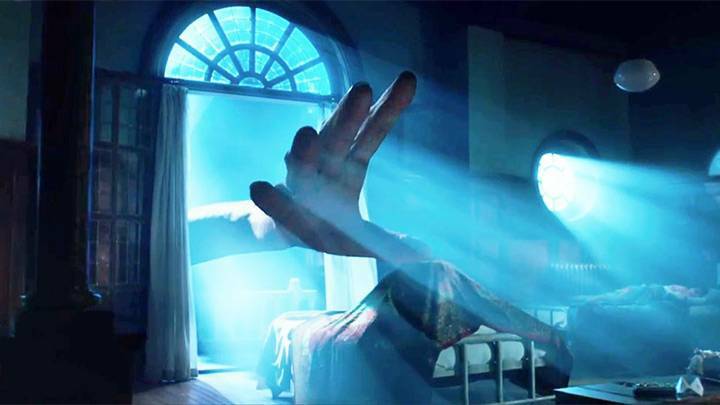 Although this adaptation is a product of Roald Dahl, author of beloved children’s stories (Charlie and the Chocolate Factory and James and the Giant Peach) and director Steven Spielberg, who made some of the most memorable family movies (“E.T.” and “Hook”), the box office has shown that audiences generally want more of the same (sequels or reboots, mostly). If they were to take a chance on “The BFG” – which sounds crazy considering who directed it – they would find a delightful, funny and creative movie. It may be a simple story, but its the kind of fantasy option that’s missing in theaters nowadays. The story is set in the 80s and during the Witching Hour (3am) at a London orphanage where we meet a young insomniac named Sophie (Ruby Barnhill), who has grown tired of the stifling authority where she lives. While all the other kids seemingly follow the rules, like lock the door and ignore noises during bedtime, this curious girl forgoes all that and opens the window to find an enormous shadowy figure peering into a window across the street. She let’s out a yelp, startling the creature and dives under her covers with a flashlight. Next thing she knows, she is grabbed by a large hand and carried far away from her room into Giant Country. When she realizes this isn’t the sort of giant to be afraid of, she calls him Big Friendly Giant, or BFG (exquisite motion-capture work by Mark Rylance) and soon learns his job is to catch, store and secretly deliver dreams to young children at night and because Sophie had witnessed him do that, he explains she has to now live with him in this remote land. The BFG may live in a labyrinth cave housing shelves of specifically labeled bottled dreams, but he shares this land with man-eating giants who are larger than him and bully him as the runt of the litter. 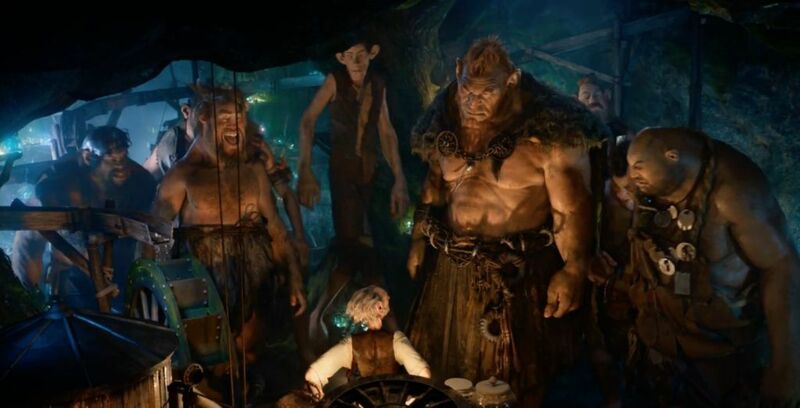 Unlike BFG, giants like Fleshlumpeater (Jermaine Clement), Bloodbottler (Bill Hader) and Manhugger (Adam Godfrey) are man-eaters (BFG calls them “cannybulls”) and would swallow Sophie whole if they knew she was nearby. Knowing how they ridicule and demean the 24 foot-tall BFG, he and his new friend Sophie devise a plan that could rid these 50 foot-tall nasty giants from the land for good, but it’ll involve help from the Queen off England (Penelope Wilton, “Downton Abbey”) and the manpower at her disposal. “The BFG” marks the first time Spielberg has partnered with Walt Disney Pictures, which seems unbelievable given how both parties have a history of delivering imaginative crowd-pleasing family friendly movies that often include a child (or children) protagonist. Spielberg has been sitting on the idea of bringing Dahl’s work to the big-screen for some time now, along with longtime producing partners Frank Marshall and Kathleen Kennedy, but after the property changed screenwriting hands and studios, there eventually came a time when CGI (computer generated imagery) technology had caught up with the capability of presenting this tale to a life-like make-believe look and tone. The wait was well worth it because everything about the sound and vision of “The BFG” is wonderful. Once Sophie is snatched and introduced to the world of her new friend we’re introduced to the inventive manner in which the BFG concocts these dream cocktails and the surreal location where he gets these sparkling and colorful dreams. The movie truly feels like nothing else being made today and reminded me of the fantasy films I grew up on in the 80s like “The Neverending Story” and “The Dark Crystal”. The playful score by Spielberg’s inseparable partner, John Williams, is perfect for the story, composed of lilting flutes and contemplative horns that whisk viewers along for the adventurous ride. All of these important elements together are needed for the kind of necessary transporting experience a story like this calls for. As for the performances in “The BFG”, I’ll admit I was a little reticent about Rylance playing the main character, when casting was first announced. No doubt he delivered some fine work in Spielberg’s “Bridge of Spies” last year, which earned the English actor an Oscar for Best Supporting Actor, but I was already getting a sick of his newfound exposure. I was remiss to feel anything but anticipation toward his role because the end result of his motion-capture work here is quite sublime with the animators matching his facial expressions in a seamless manner yet resembling the big-eared and long-necked character designs from English illustrator Quentin Blake. BFG is a goofy character with a unique language, he calls televisions “telly-telly bunkum box” (which I thought would prove problematic for audiences to follow, but I quite enjoyed it) and has a certain naivety about him, but he’s still intuitive to the ways of the heart. He’s a kind soul in an intimidating large body – at least to “human beans”, as he call us. 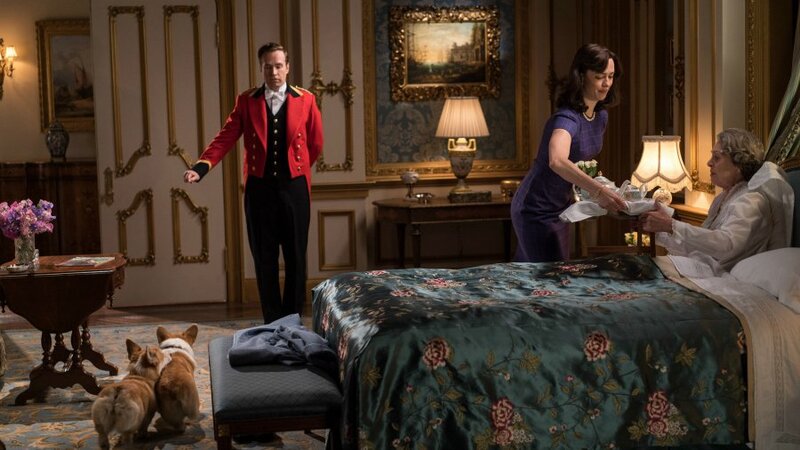 His characterization is purposefully childlike, giving young viewers someone else to connect with besides young Sophie (as played expectedly wide-eyed and precocious by newcomer Barnhill), especially those kids who feel awkward in their own shoes. Unfortunately the other giants aren’t given enough screen time to offer as much of a threat as they present in Dahl’s book. Because of this we miss out on the specific personalities and dispositions of these and simple see them as one track-minded baddies, making them a one-dimensional part of the story. The third act of “The BFG” emphasizes the silliness factor as the story heads back to the UK, which is when we meet Wilton’s wonderfully straight-faced Queen and her cohorts portrayed by the likes of Rebecca Hall and Rafe Spall. This is also the point in time when a fart gag is played out for all characters to partake in – it’s hilarious and the kind of humor we’ve come to expect from Dahl, yet it’s a hoot to see Spielberg loosening up and going along with it. 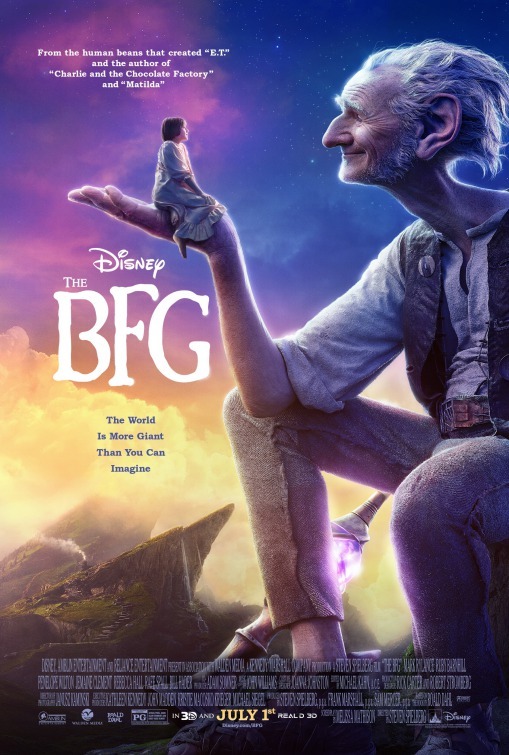 The screenplay by the late Melissa Mathieson (no stranger to family fare having written two classics, “The Black Stallion” and “E.T.”) loosely follows Dahl’s book, “The BFG” focuses more on a charming tone and detailed world-building than it spends on plot details of this simple tale. Some may complain that the story’s pace is a little slow, spending so much time establishing the friendship between Sophie and BFG, but that aspect of the movie interested me the most – spending time with these two who are fascinated, curious and eventually accepting of each other. Again, there are real-life parallels here that may seem a little too obvious (as there were in “Zootopia” earlier this year), but if viewers are willing to slow down and allow themselves to be won over by the characters here. 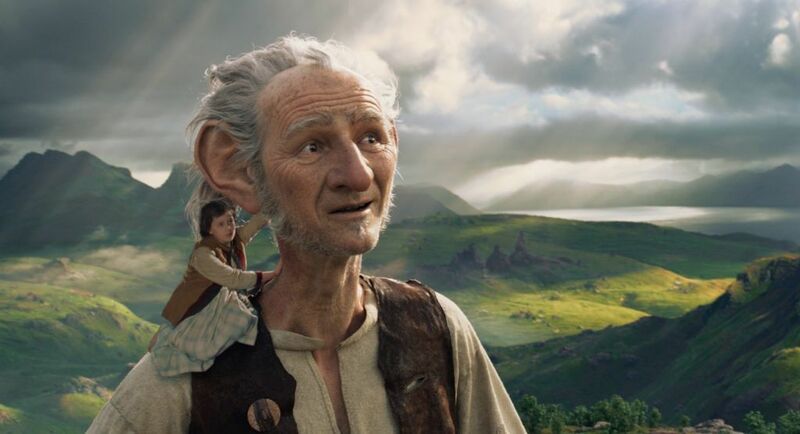 Both Tim Burton (“Charlie and the Chocolate Factory”) and Wes Anderson (“Fantastic Mr. Fox“) tried their hand at directing the works Dahl – so why would moviegoers and critics have a hard time with Spielberg’s “The BFG”? I ask because there have already complaints about the movie wasn’t received very well a couple of months back at Cannes and is currently failing big at the box office during its opening weekend. Clearly some people have never read the book, won’t go in blindly to just any Disney movie and have not head of Spielberg. Like last fall’s “The Good Dinosaur“, this is a movie that’s slow and kind – something that audiences just shrug their shoulders at and move on. That’s too bad. A note on the 3D of “The BFG” – it’s not a must but considering the size difference between the characters here, what is done with the depths of field, especially in confined spaces, is actually kind of cool.